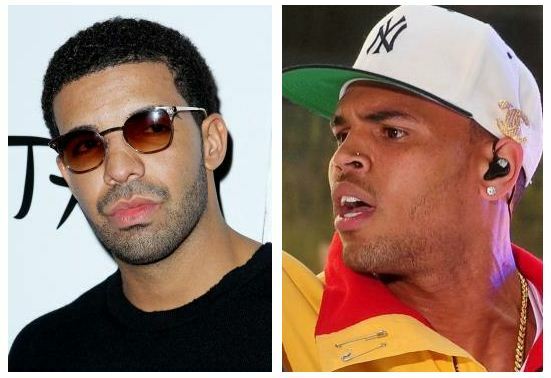 Drake is adamant that he did not beat up Chris Brown last night, claiming he was in the process of leaving the nightclub when the stars' entourages threw down. Chris Brown's fight with Drake and his posse at a New York club left him with a gash on his chin (he posted a pic of it on Twitter that he later took down). "Drake did not participate in any wrongdoing of any kind last night at W.i.P. He was on his way out of the club when the altercation began." Earlier reports indicated, contrarily, that Brown and Drake had been hanging out in the VIP section when Drake began pointing and yelling at Brown. Brown began yelling back, witnesses say, and that's when members of both entourages rushed in and began shoving each other repeatedly. With tensions escalating, someone threw a bottle, causing an all-out melee. It's unclear who threw it, but bedlam erupted and security called the police. Now, a new witness claims it was a rapper hanging out with Drake, Meek Mill (pictured below), who was screaming at Chris and vice versa, not Drake personally. One of Chris' "lieutenants" was also involved in the screaming match. The informant won't say what specifically the music stars' camps were arguing about, partially "for fear that someone will get hurt" if he talks. You can use your imagination there. Essentially, it was all about Rhanna. In any case, trash talk from both sides got people fired up really fast, and a source says that Chris was hurt when Meek Mill hit him with a bottle. 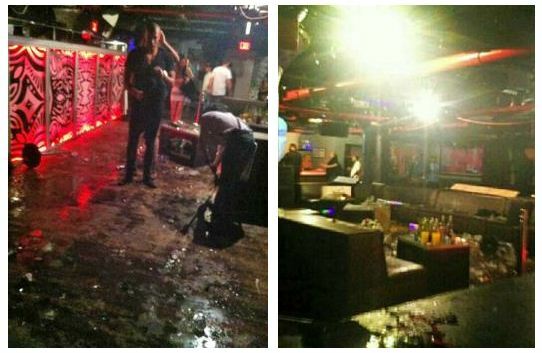 What's also clear is Brown and Drake left the scene by the time the cops showed up, but several members of their entourages remained at the club.